Service your vehicle with a routine maintenance check to avoid a potential breakdown on the side of the road! Also, check tire air pressure for optimal gas mileage, and make sure you have a spare tire, jack and jumper cables. Alert your bank and credit card company of your trip with the cities you plan to visit. This will help the company monitor fraud but also ensure you have access to your funds. For help planning, download the Roadtrippers App to find landmarks, hiking trails and other notable stops along the way. I also like to stock a cooler with bottled water, soda and snacks. You can always find bags of ice at rest stops to keep the goods chilled and this strategy will save you up to a few hundred dollars spent on those various rest stop purchases. 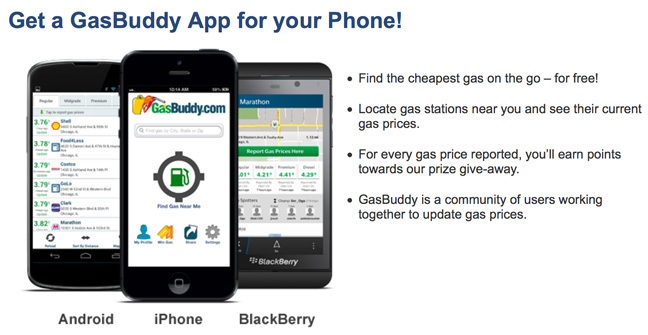 Download the GasBuddy app to find the best-priced gas stations wherever you go and travel with cash as some gas stations charge 10-cents more per gallon for swiping a credit card. Take advantage of grocery and retail gas reward programs. Kmart’s FuelRewards offers 30-cents off gas coupons for every $50 spent, while Walmart recently introduced their Gas Rollback Program, providing 15-cents off per gallon with use of a Walmart Credit Card, MoneyCard or Bluebird by AmEx card. For families traveling with children under 12, research restaurants that offer free kids’ meals to help alleviate your dining expenses. You can often find restaurant coupons too on your phone. 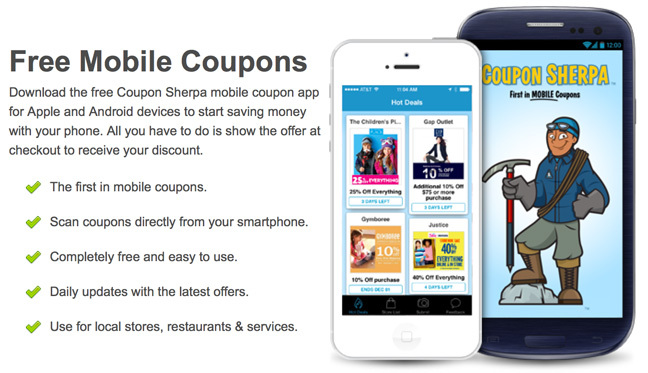 Download the Coupon Sherpa mobile app and use the “nearby” function to map out restaurants near you that offer coupons. Or, print restaurant coupons before you hit the road. Before you head out, search for daily deals at your destination for dining and save 40 to 60-percent off. Check the HotelTonight app for luxury accommodations at up to 70-percent off for last minute bookings or book through Hotels.com to accrue rewards toward a free night’s stay and take advantage of the site’s price match policy when you send a link for proof. Otherwise, keep it cheap and have fun camping! At CampingRoadTrip.com, you can find camping sites along your route, but don’t forget to pack a tent and sleeping bags because buying these on the road will cancel out the savings. 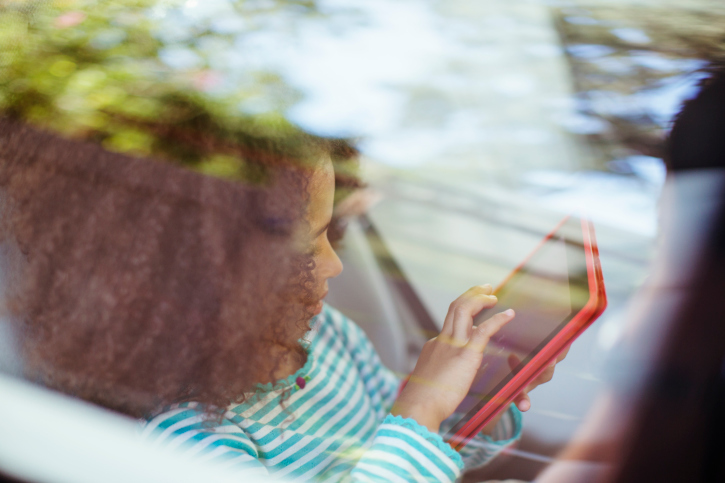 Families on tiered-data plans should mind their mobile usage as all the activity like accessing maps or navigation, playing games and posting photos on social media may cause you to exceed your data cap. The overage fees can be tremendous if you don’t watch it. Download map directions at home or from a hotel WiFi so you use up data when looking for directions, and enable your WiFi locator so you can find free connections along the road. 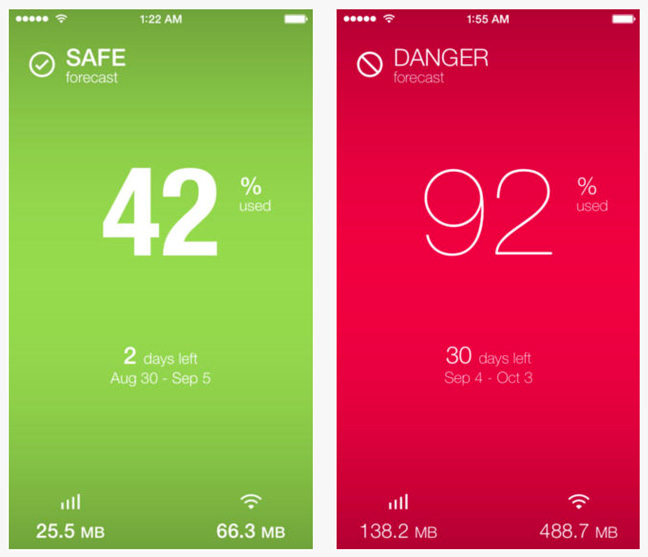 Track data usage and set alerts when nearing the cap with the 3GWatchdog App for Android and DataMan App for iPhone. Verizon, AT&T & Sprint allow you to check data usage in real time by dialing a special number, too. Andrea Woroch is a nationally-recognized money-saving expert with a passion for showing consumers that it’s possible to live on less without sacrificing. 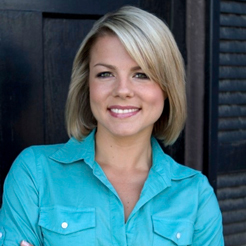 As a sought after media source, Andrea regularly contributes to consumer segments with leading news organizations. She has appeared on Today, Dr. OZ, Good Morning America, FOX & Friends, CNN, The Katie Show with Katie Couric, and has been quoted in New York Times, Wall Street Journal, Money Magazine, Kiplinger Personal Finance, Better Homes & Garden, People Style Watch and many others. Her work has also been published among popular lifestyle and personal finance websites like AOL’s Daily Finance and CNN.com. You can follow Andrea on Facebook or Twitter for daily tips and tricks for saving money.